Decisions, Decisions. What to take and what to leave. On the evening before the start of Race to Cradock I lifted my backpack to compare it with that of Fiona Coward, a seasoned Freedom Challenge and Multiday mountain biker. Despite having taken pride in significantly reducing my pack weight since Race to Rhodes the previous year, mine was still a bit heavier. Coincidentally Glenn walked in and a very valuable discussion followed around weight and necessities, the lessons of which I’m sharing in this post so I don’t forget them :-). Cotton cloth can absorb moisture and becomes heavy. If you didn’t take that item, can you make another plan. Maybe a car load is too much to fit onto your bicycle. Weight On-Bike vs On-Back. There are two schools of thought even among the top riders on where to carry weight most efficiently. Some prefer a lighter pack (on-bike) while others prefer a lighter bike (on-back). 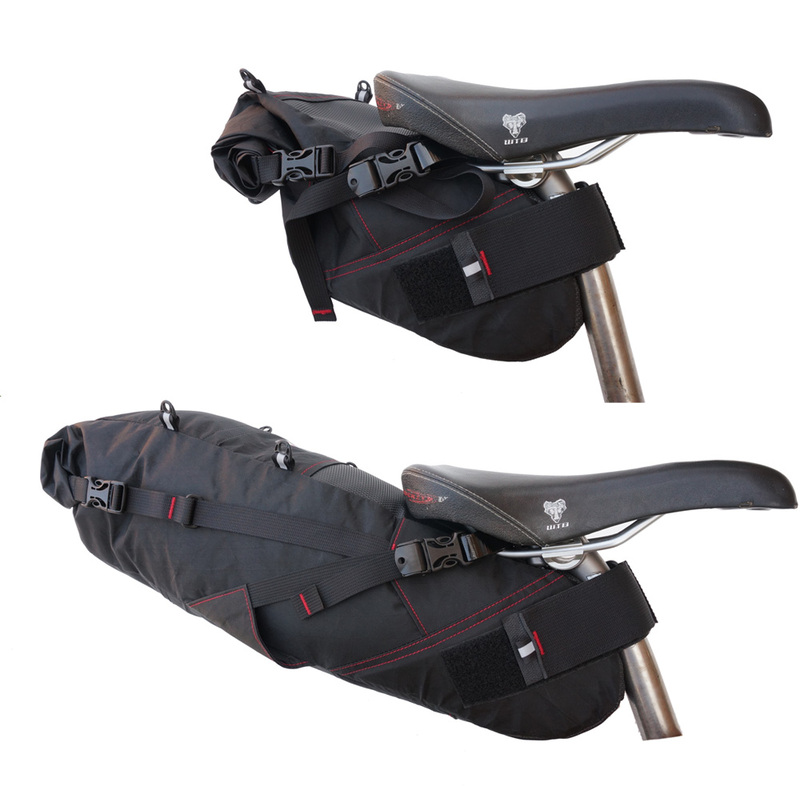 The primary benefit of the lighter pack is reduce weight on the saddle and the resulting benefits of comfort. In addition, Alex Harris believes carrying weight on the back may be inefficient due to the required use of back and shoulder muscles to continuously stabilize the pack. Furthermore, he feels the upper body can be sufficiently conditioned to cope with lifting and portaging the heavier bike during portage and gate sections. Alex and Tim James rode Race to Cradock non-stop without back packs, all weight on-bike. On the flip side is the on-back school of thought, the simple reasoning here is that a road bike weighing 20% less than a mountain bike could be, under similar rider conditions, possibly 20% faster than the mountain bike and therefore a lighter bike will always trump a heavier bike. There are also the benefits of lifting or portaging a lighter bike. One could reason that on-bike makes sense on flatter roads but not for the undulating nature of the Freedom Trail. 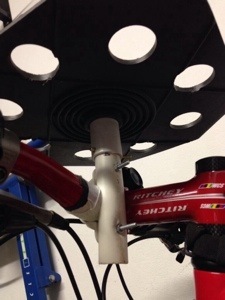 I have tried a method of splitting weight between my back pack and my Revelate saddle bag, more weight on the back for big climbing and portage days and then moving weight to the saddle bag for flatter days, of which there are not many. In the end it may be personal preference based on various factors but some interesting food for thought. Spare tubes and tyres. Some ride with no spare tube, just a 60ml serving of sealant to top-up a soft tubeless tyre. If you take a spare tube it MUST be filled with slime or don’t bother, in some places a “dry” tube will flat within 100m. 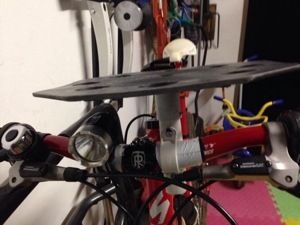 If you decide not to carry a spare tyre, you need to make provision to fix a nasty sidewall by using duct tape, gators, needles and nylon, etc to prevent a spare tube from peeling out the cut tyre. In future my preferred option will be a dry tube and a small 60ml sealant to top-up either the tubeless tyre or to fill the “dry” tube. I also carry a couple of lightweight sidewall repair options. Pumps and CO2 canisters. My shock pump got dumped on the evening of departure. I was convinced that a shock pump is a luxury, you can make a plan or ride with a deflated fork of rear shock until a plan can be found. CO2 canisters are metal and are heavy, they can however help seal a fresh tubeless setup (as we needed to on Race to Cradock). A good pump is like gold, a non-negotiable. In future I’ll ride with one CO2 and my Blackburn pump. Clothing. Clothing is heavy and bulky. There are two considerations here, ie hygiene and weather. Hygiene is a personal preference and some may also feel a risk to be managed. I have always opted for two sets of clothing allowing me to ride in a clean set every day, most if not all support stations do offer for a fee a clothes washing option, it may be challenge though to dry clothes during the damp and cold winter months. Once again personal preference how long you want to ride in a single set of riding clothes but my lesson is that it’s very possible to get away with a single set of riding clothes. Evening clothes is also a personal choice but you can be sure every person sharing space with you on the Freedom Trail is in a minimalist and non-fashion mindset, no matter what you wear you won’t feel odd. Glenn Harrison did a very helpful write-up of his clothing strategy on his 2010 ride which I have used as a guideline. (http://onegiantride.blogspot.com/2010/07/travelling-light.html). Then there is weather based clothes. Once again Glenn’s blog above has some very good pointers, the key being layering and multi-use of clothing. On Race to Cradock I had a small bag with gloves, buff, leg warmers that I never once opened and only would have required in extreme weather. For Race to Rhodes this little bag is packed with a few more items and is used every day. There will be a weight penalty for winter riding but a short cut could cost your life if you get caught in a snow blizzard. In winter rather pay the weight penalty and be safe. Race Boxes. For Race to Cradock I left behind probably 50% of what I had packed into my race boxes. Also the more you pack the longer it will take to figure out what to use during your support station stop. On Race to Rhodes food variety is a bit limited after Allendale so you may want to add a few sweet and savory snacks to your boxes. On Race to Cradock the farm food is superb and there are always sandwich and snack options to take along. Race boxes for this 600km section require less than for the first 600km. I tend to lose my sweet tooth on multiday events and crave more for proper food. Treat yourself with some vacuum packed items, the thought of vacuum packed crispy bacon was raised, not sure if it’s been tested yet :-). Beer, sodas and Sterri Stumpies have been spotted in race boxes. In the end pack what you will really need and crave for. Lastly but most important … make sure the right maps go into the right boxes, you won’t be the first nor the last person to find the wrong maps in your race box. Make sure the right maps are in the right boxes! Summary. Everyone has the same story, the more they ride on the Freedom Trail the lighter their packs become, the fewer their tools become, the fewer clothes they carry and the fewer items they pack in their race boxes. If you want to accelerate the learning curve, be brave, be bold and be light. Everyone has their own preference for various reasons so I guess there’s no better or worse. 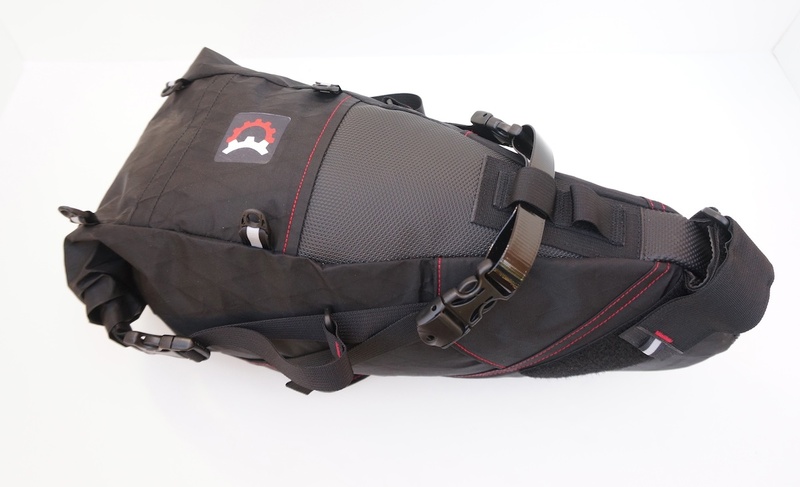 I am splitting between the two and will be using a Revelate Pika saddle bag in addition to the Wingnut Adventure backpack. 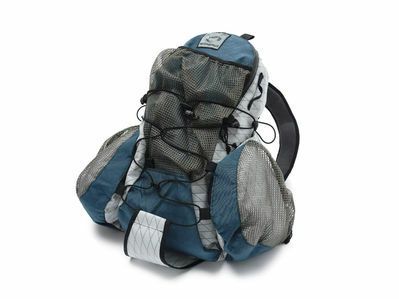 The backpack carries items I may need while riding such as food, day clothes, first aid kit, bike tools. The saddle bag is for stowage of night clothes, shell layer, bike spares, bathroom & chargers bag. My primary driver is to get weight off my neck and back side due to long saddle hours. In 2014 I will be riding my 26″ 2006 Specialized Epic which I bought in January 2006 while visiting London, UK from Evans Cycles London Bridge. It has served me faithfully over the past 8 years on several multi-day races, exploring the Alps, riding up & down Alp d’Huez and many exploratory adventure rides in and around Southern Africa. It is nearing end of life and I have a ridiculous attachment and sentiment for this red bicycle. The frame has broken and been repaired and pretty much every moving part has been replaced over the years. No doubt it’ll serve me well for this next adventure, which is also it’s farewell race as it’s heading for retirement post RTR. We won’t be the fastest around the course but at least I’ll have good company. 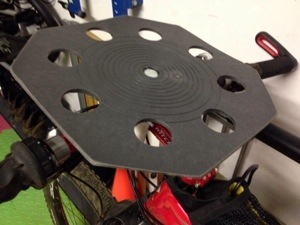 A low cost and effective map board for adventure racing, orienteering and mountain bike touring. Has been used successfully on Freedom Challenge and Expedition Africa. Courtesy: Ugene Nel, Chris Fischer, Sergio Maraschin. Images of Sergio Maraschin’s version for Freedom 2014 below. Picked up this pair of odd looking Sealskinz gloves from Alex Harris yesterday and test rode them last night at Modderfontein Trials, temperature dipping to 7C (bit too warm for these so it felt like a nice oven). 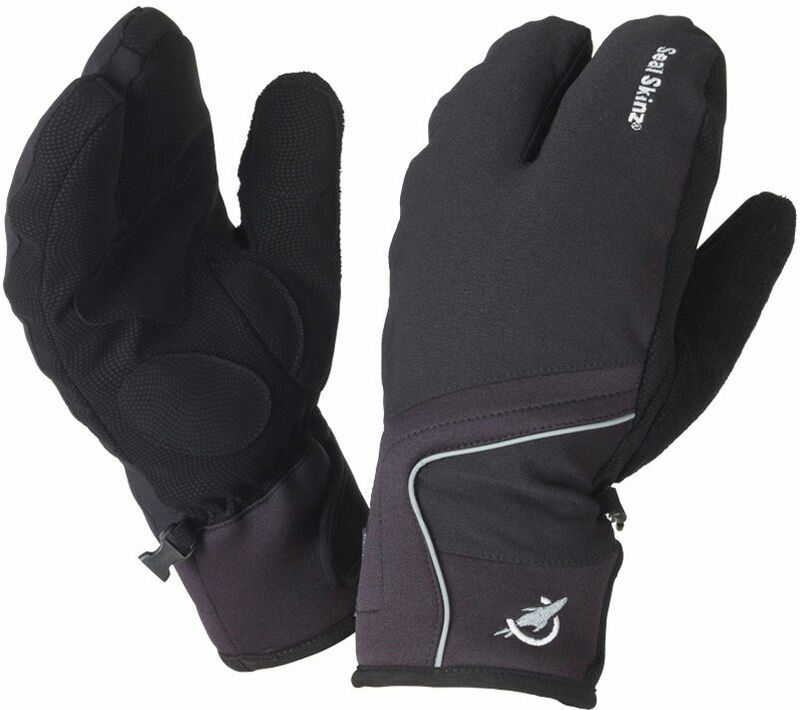 In addition I’ll have a pair of First Ascent inner fleece gloves and normal long finger riding gloves. Hopefully this collection will suffice to protect my soft office keyboard conditioned paws. I will be using the following 2 lights at RTR. Both great lights! Bike light: Extreme Lights Extreme 1200 MKII Bicycle-Light. I have had the Extreme 1200 MKII for a few months already and have done many night rides on easy & rough terrain and it has performed perfectly all the time. 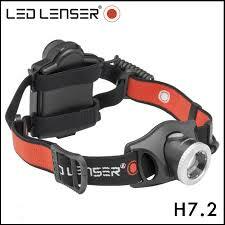 Head lamp: LED Lenser H7R.2. 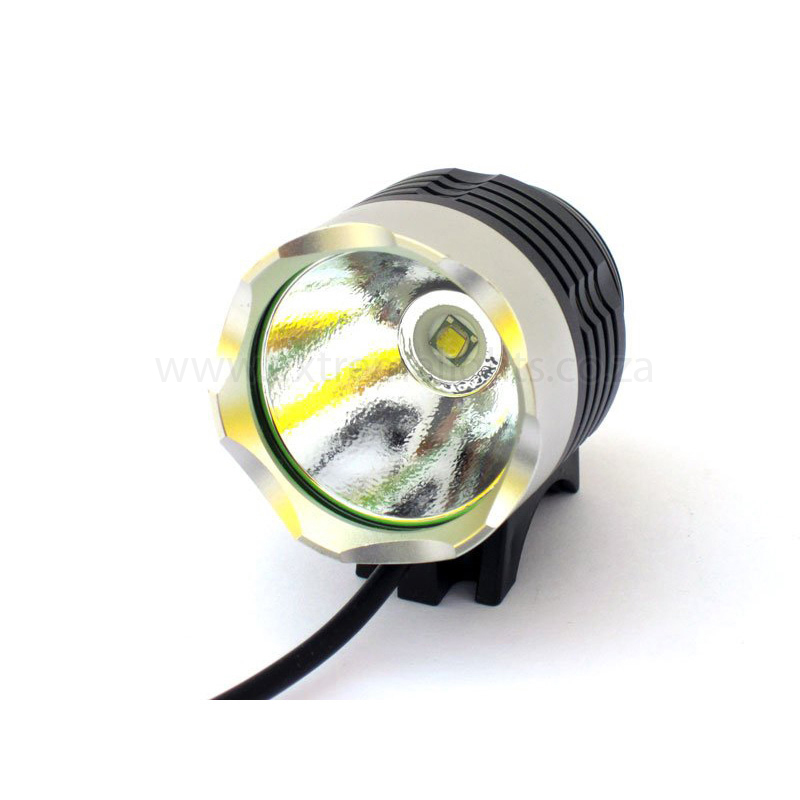 Our trusted H7R.1 had a button stop working and it was sent to LED Lenser for repair. Low and behold they replaced it under warranty with the latest H7R.2 which we received yesterday via courier. What brilliant service! 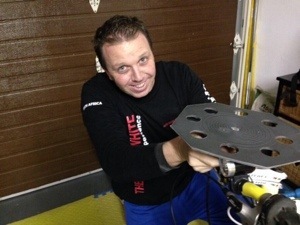 LED Lenser now has a new marketing ambassador! This morning while out riding under the moon my shadow reminded me of African mothers who carry their babies on their backs wrapped in warm blankets. I probably look just like that with my backpack. Abba Baba. Riding with a backpack takes some getting used to. I started off with 3kgs and have gradually increased to 7kg, which is about where I’m aiming for with a further 2-3kg on the frame. 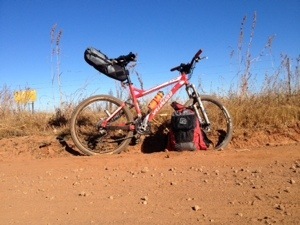 I’ll be riding with a Wingnut Adventure bag which was a gift from a friend, Nicolaas Vlok, from the US. My favourite features are the ability to position the pack low on the back by releasing the shoulder straps, the easy separate access to the bladder and the wrap around waist belt with large storage pockets.